ThemeForest - Fable v1.0 - Bakery Coffee Pub Restaurant Site Template - 14882455 | Free eBooks Download - EBOOKEE! Posted on 2016-12-29, by luongquocchinh. 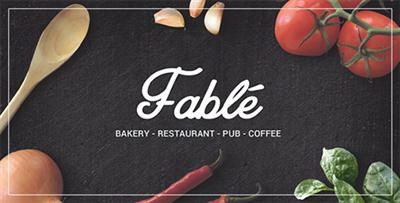 Fable is a premium, bootstrap based HTML template, designed for food, bakery, cafe, pub & restaurant websites. No comments for "ThemeForest - Fable v1.0 - Bakery Coffee Pub Restaurant Site Template - 14882455".